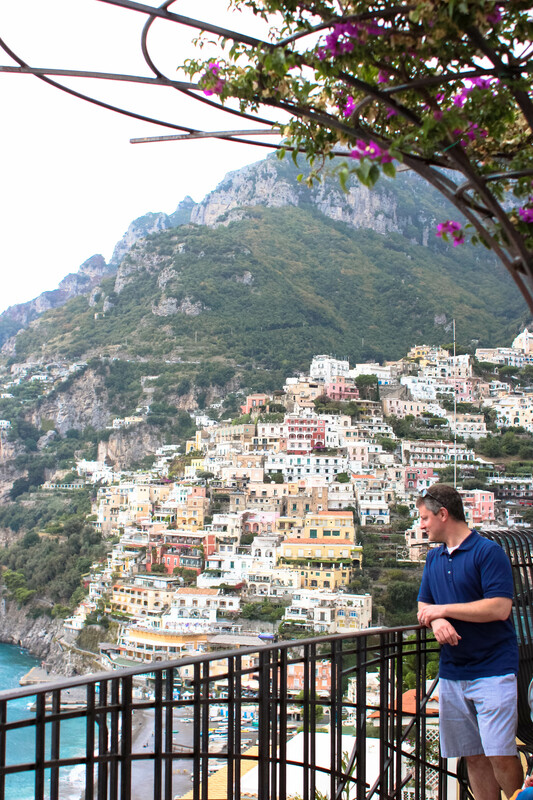 While in Sorrento, we took a little bus tour of the Amalfi Coast. 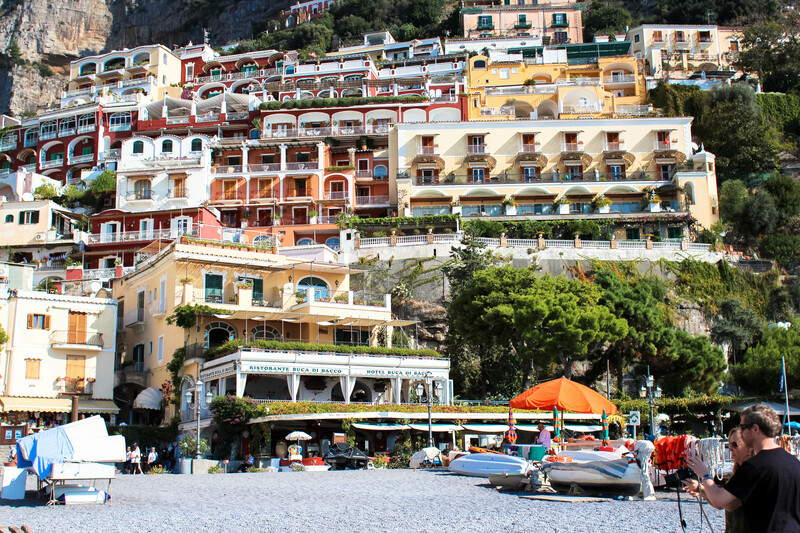 We booked the tour through our hotel a the Hilton Sorrento Palace (see previous post). We figured it was easier to book a one day tour and then come back to the cities that we liked on our own. 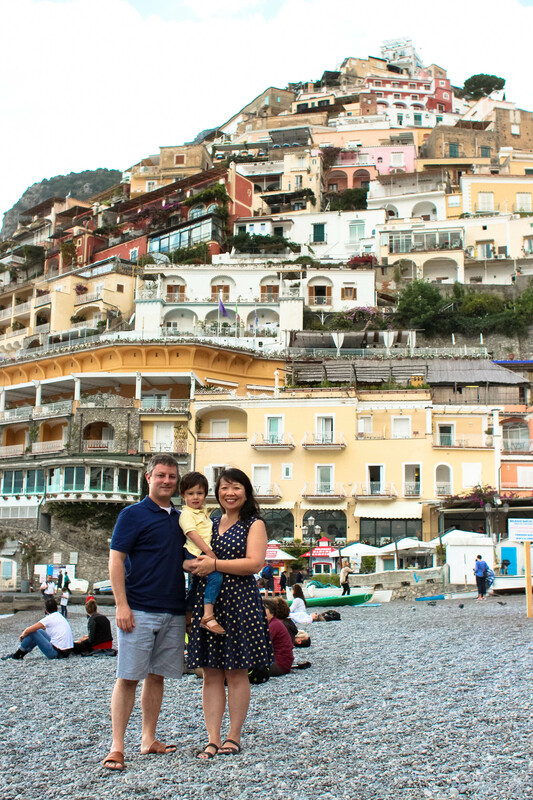 Well…our tour only gave us an hour in Positano, which wasn’t enough, because we absolutely fell in love with this little city. Everything about this place was beautiful. Even the normal looking stuff was beautiful. 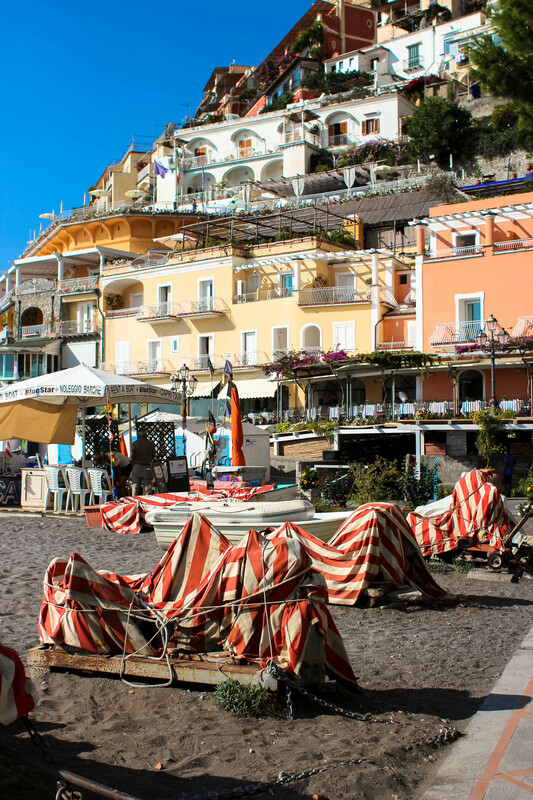 So, a few days after our tour we came back taking public transit from Sorrento, which was only euro 3.60/person. Luke was free. I have to tell you, the bus ride was pretty scary. I just don’t know how the buses can wind down the roads along the mountains and over the cliffs all day. A few times I thought we were going fall off the cliff. 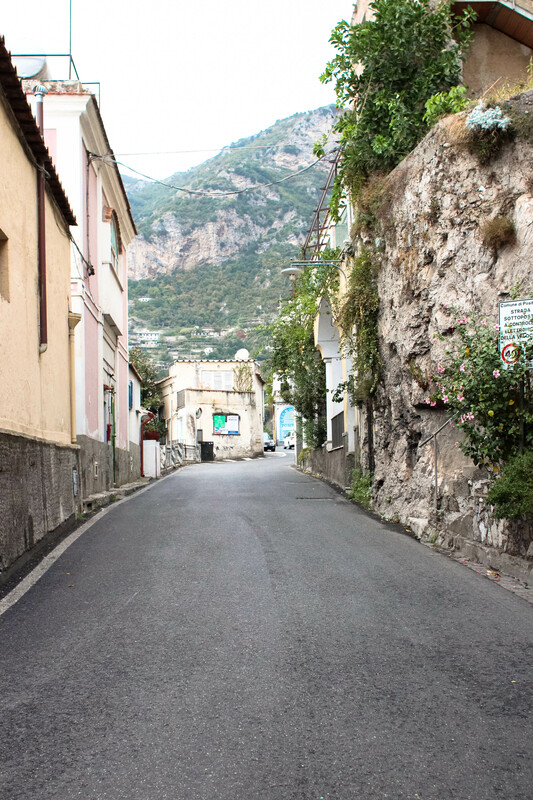 The Italians have this driving thing down…especially along the Amalfi Coast. Thank goodness I didn’t have to do the driving. 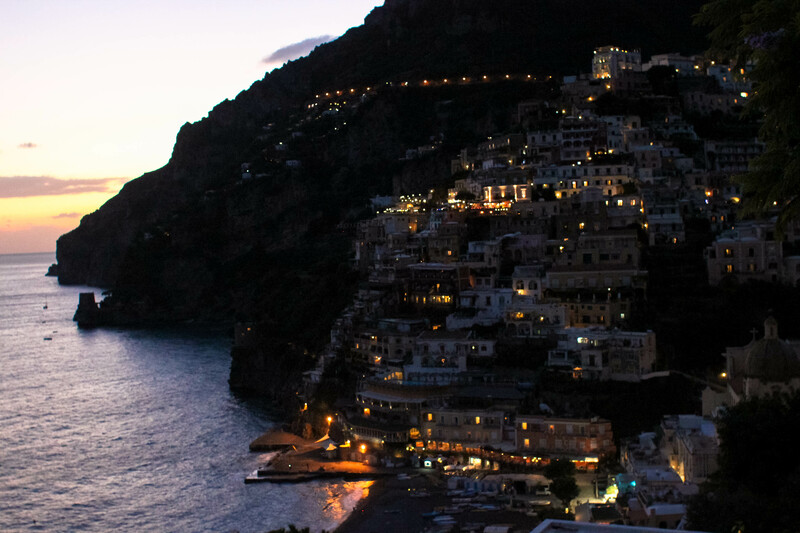 On our trip back to Positano, the bus dropped us off on top of the hill. We walked down and just saw amazing views of the city. It wasn’t bad walking down with Luke and the stroller. It was the walking up that was a bit tiring. We spent the day on the beach and enjoyed cocktails at restaurant with sea views. Before heading back to Sorrento, we sat and had dinner at Bruno’s. The outdoor patio had THE BEST view of the city. We watched the sunset while eating dinner. 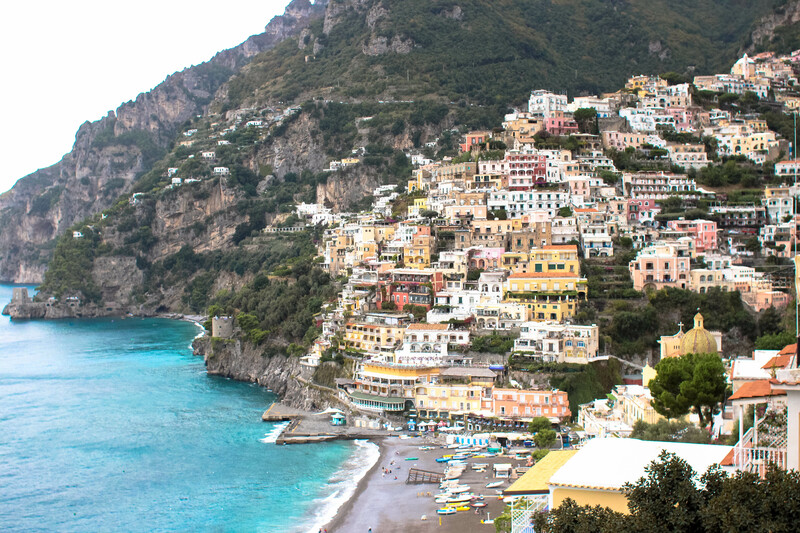 The view was so beautiful that we almost missed the bus back to Sorrento. This was an unforgettable day and we will definitely come back for another visit. 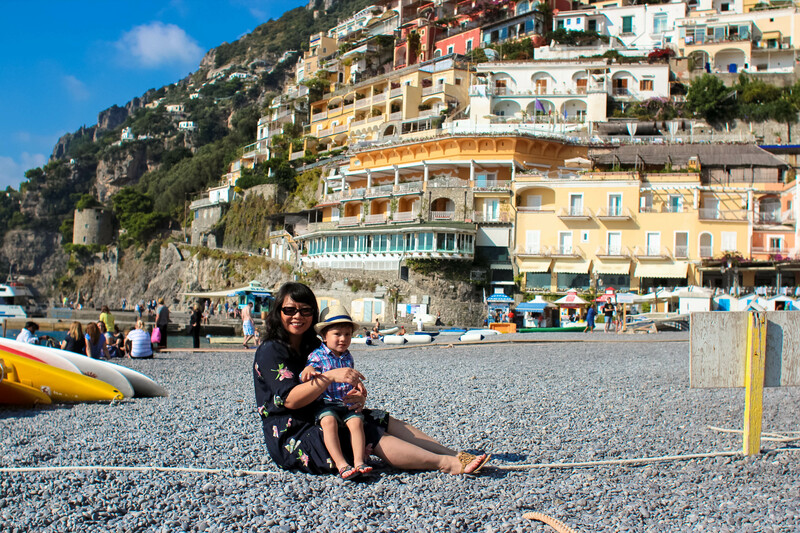 Below are pictures of our second day in Positano. We started our trip from the top of the city and made our way down. 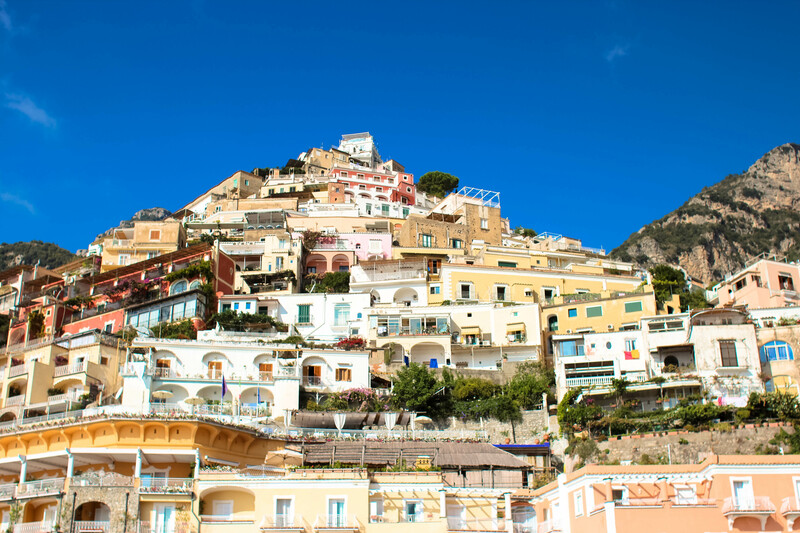 The narrow streets of Positano. 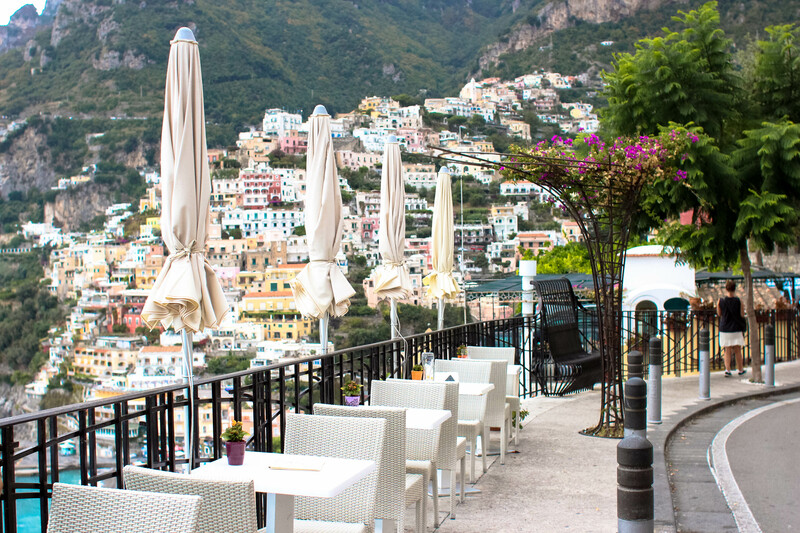 The most breathtaking view of Positano. Your photos are gorgeous! 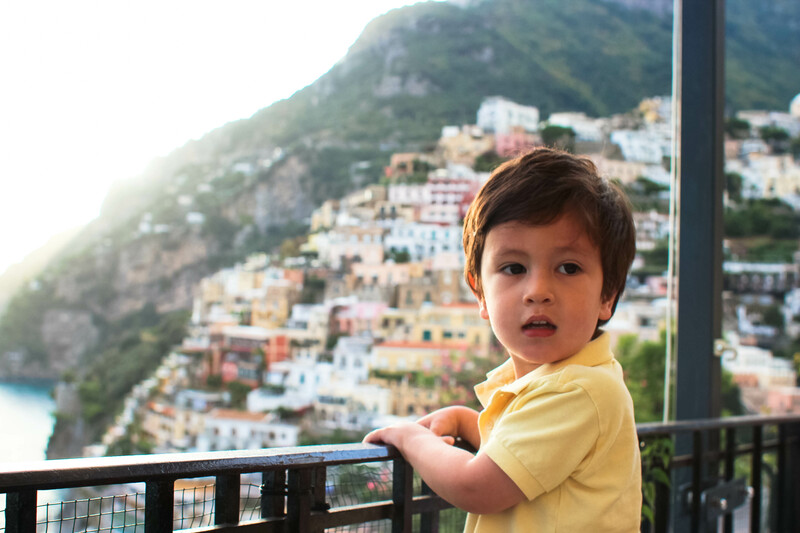 We have family in Europe so when we go next time we are going to drop off our kiddo at the grandparents’ and do a little European vacation, Italy may just have to be one of our stops! Thanks so much, Deanna!! 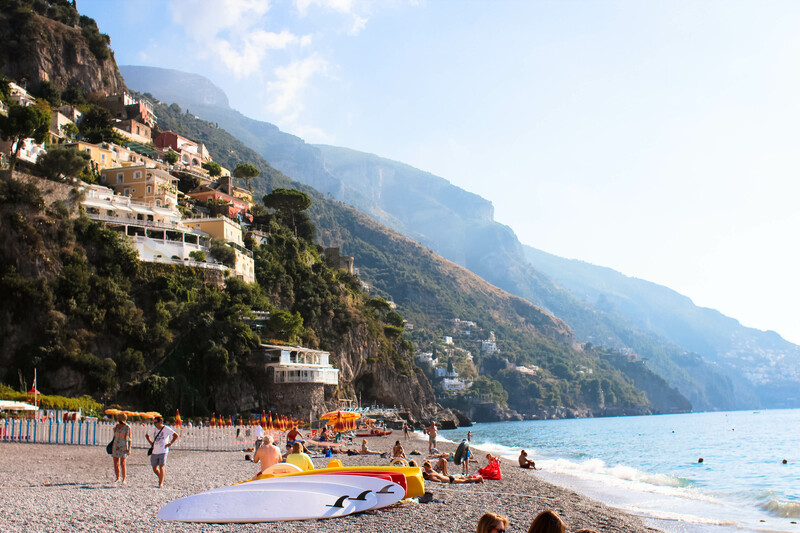 You MUST visit this part of Italy when you’re in Europe! Everything is just so beautiful and rustic.